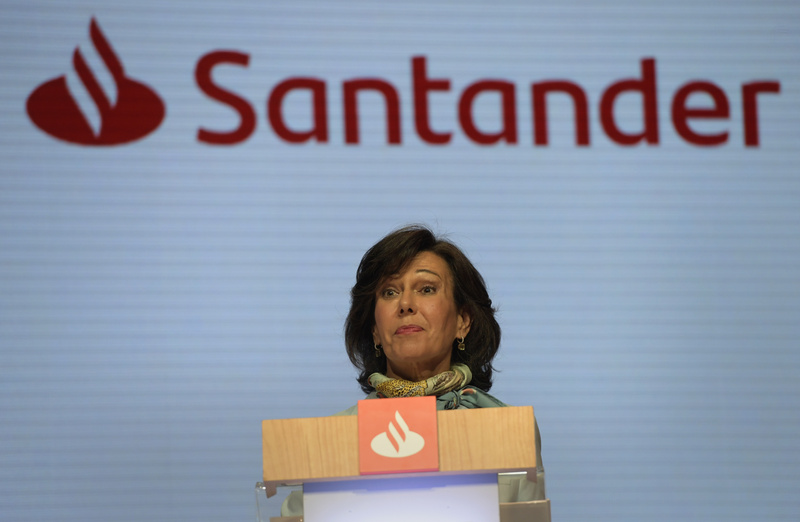 Spanish bank Santander's Executive Chairman Ana Botin presents the bank's new logotype during the annual general shareholders meeting in Santander, Spain March 23, 2018. Santander will not make major changes to its strategy after hiring UBS investment bank head Andrea Orcel to become its CEO from 2019, chairwoman Ana Botin was quoted as saying by Reuters on Sept. 26. Botin added that Orcel would focus on the digital transformation of the retail lender. Santander said on Sept. 25 it had appointed Orcel to replace Jose Antonio Alvarez. Orcel has run the investment banking division of UBS since 2012. Previously he spent 20 years at Bank of America Merrill Lynch, where he advised Santander on many of its corporate moves. Santander shares were up 0.3 percent to 4.49 euros at 1200 GMT on 26 Sept.